Brent is a member of the firm's Commercial Litigation and Product Liability practice groups. His practice encompasses a wide variety of litigation, including complex business litigation, real estate litigation, banking and mortgage-related litigation, consumer class actions, and product liability. Brent has worked on litigation matters throughout the United States, and is admitted to practice in state and federal courts in Alabama, Georgia, and Mississippi. Brent has represented a wide variety of clients at the trial and appellate level, including banks, mortgage companies, finance companies, real estate developers, general contractors, gas appliance manufacturers, firearms and firearm parts manufacturers and sellers, private equity funds, and various craft beer manufacturers. Brent is a member of the Defense Research Institute and has served on the organizations’ Lawyer’s Professionalism and Ethics Committee. He has been continuously selected for inclusion in either Alabama Super Lawyers or Mid-South Super lawyers from 2008 through 2017. Prior to joining Burr & Forman, Brent served for a year as judicial law clerk to the Honorable Eric Bruggink of the United States Court of Federal Claims in Washington, D.C. 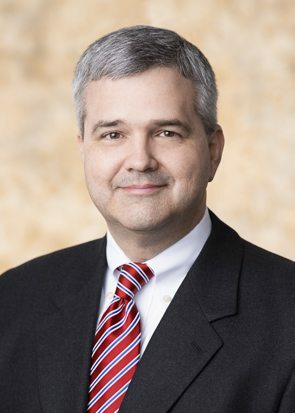 While attending Cumberland School of Law at Samford University, Brent was named a member of Curia Honoris, was appointed a Cordell Hull Teaching Fellow, and served as Editor-in-Chief of the Cumberland Law Review. Brent is an avid sportsman and enjoys sport shooting, hunting, fishing, mountaineering, hiking, and generally spending time outdoors whenever possible. He is also a founding Director of Southern States Bank, a community bank with offices in Alabama and Georgia.